This low slung, stylish armless contemporary design is perfect for the demands of everyday modern living. Upholstered in a fashionable quilted fabric its ergonomic molded foam seating will make a welcome addition to any living space. 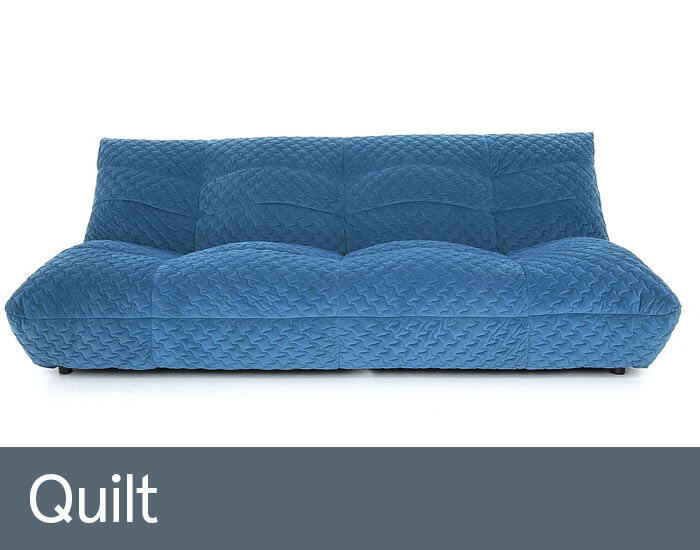 Whether as an occasional statement or as a versatile modular configuration, Quilt has real appeal. It’s even suitable for a home cinema or kid’s playroom.